Since at least the 1950s, groundwater extraction was concentrated in the central part of the North Area Basin. This extraction resulted in a regionally extensive cone of depression. Water agencies in the region have worked diligently over more than a decade to finance and construct facilities to bring more surface water into the region when available, allowing groundwater levels to recover from their historical low elevations. 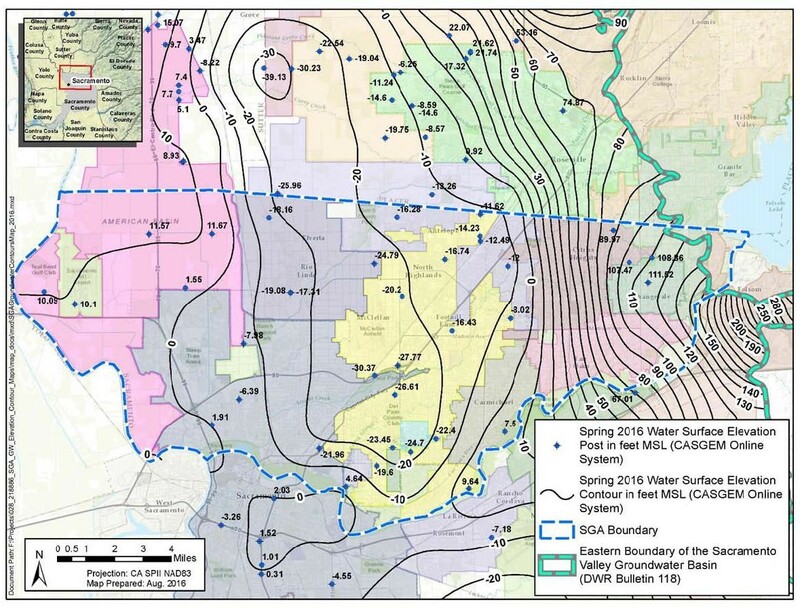 Because SGA has typically prepared groundwater elevation maps on a biennial basis, change in storage represents a two-year period. Future SGA reports will calculate annual change in storage to comply with new SGMA requirements. The groundwater elevation difference comparing 2014 to 2016 was an average increase of 0.5 feet. 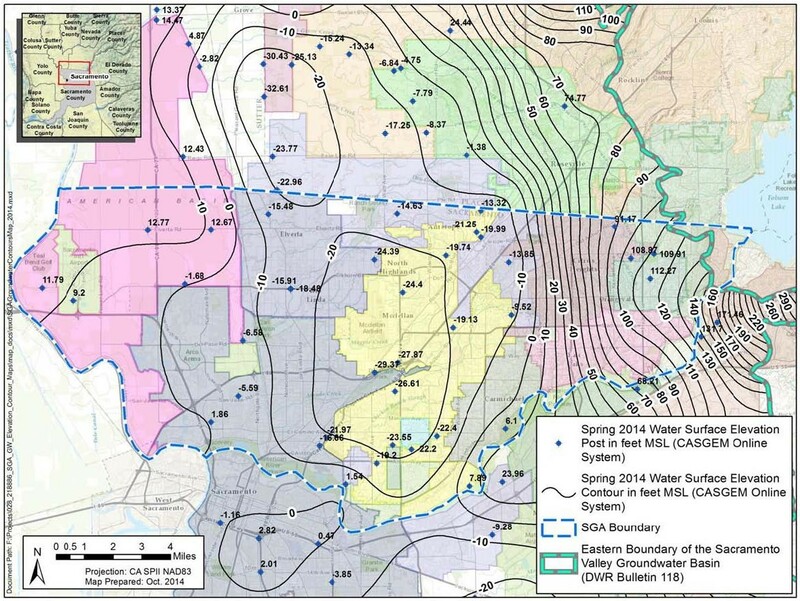 Assuming an average specific yield of 7 percent and a surface area of 124,517 acres results in a positive change of groundwater in storage of 4,358 acre-feet. This positive change in storage is consistent with observed improvements in spring 2016 groundwater elevations.